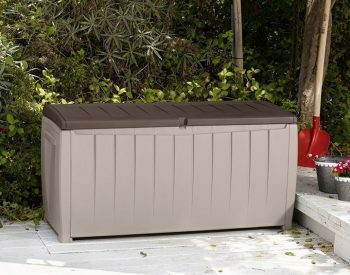 BRIGHTWOOD STORAGE BOX from KETER on sale – sizeable outdoor storage space in an easy-to-assemble, attractive unit manufactured from high-quality UV-stabilised polyresin plastic. 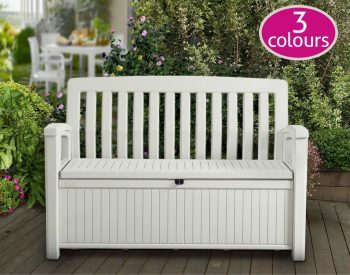 It can also be used as a comfortable outdoor bench seat for two adults. 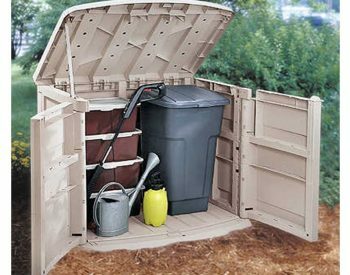 Fitted with gas strut automatic opening mechanism, it is designed to keep contents dry and ventilated. 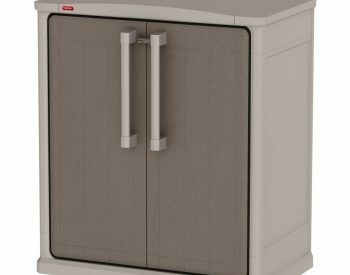 Outdoor storage solutions are becoming more popular as many people realise the benefits of storing items outside rather than having them cluttering up valuable storage space inside the home. 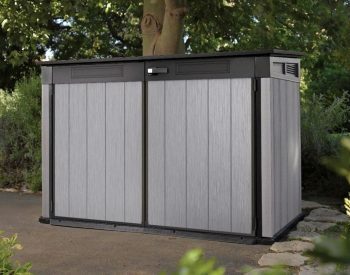 Weather proof outside storage box units such as the BRIGHTWOOD meet this need in an effective and economical way. 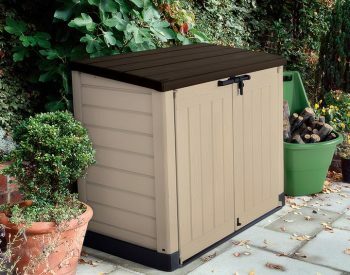 For the storage of larger items such as lawn mowers and wheel barrows, plastic garden sheds are an ideal solution. 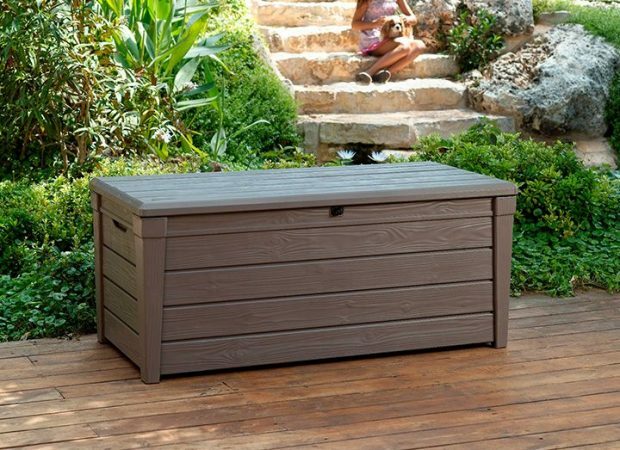 Delivery on the Keter Brightwood Storage Box is FREE within Australia! Arrived missing the metal parts, however an email to Landera had them immediately shipping the missing parts, which was excellent service. 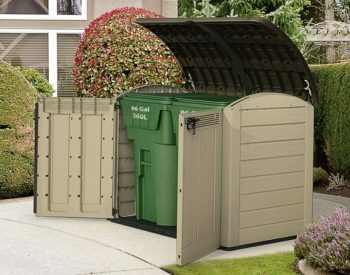 Very easy to build and very sturdy. 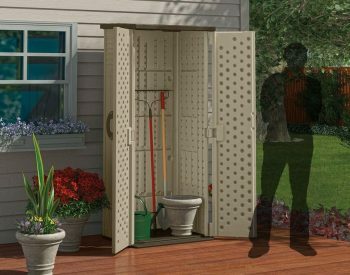 Looks great and has plenty of room for the garden tools. Highly recommended! 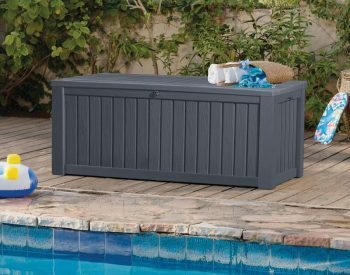 Easy to assemble and very sturdy. Assisted opening of the lid is a plus for old and young alike. Certainly happy with the product. Very happy with the product. Good size and strength. Arrived within a few days. 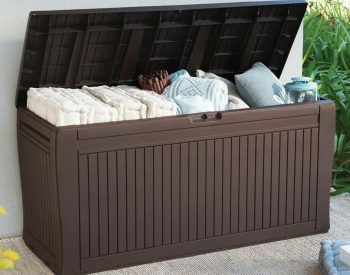 Easy to put together. 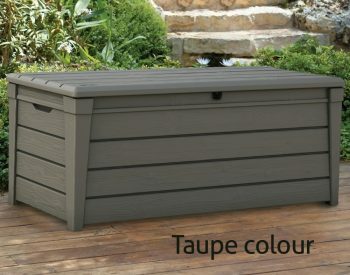 Looks good, holds heaps and the kids and I can sit on it safely too. Very happy.